I have always loved the classic look of butcher block, and I strongly considered it for Flip 5. The first time I used it was on the wet bar in Flip 4. I fell in love with the grains and color. For the wet bar, I got a steal of a deal on a damaged piece of teak and then trimmed off the damaged part. 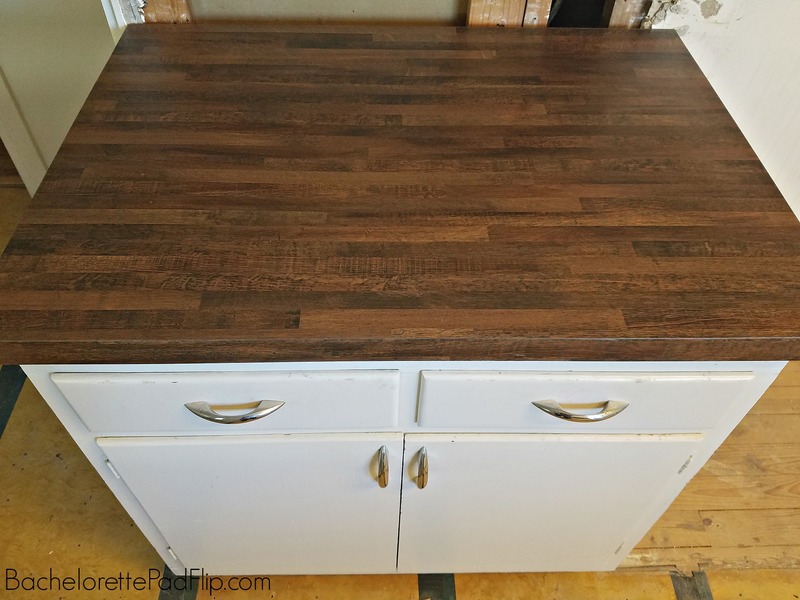 The piece was actually large enough to cover a kitchen island and pretty affordable even before the damage discount. I was considering this same route for Flip 5, but I quickly started getting a lot of static about that decision from people. While they’re beautiful, they do require upkeep. Almost all counter tops do now days, but keeping the butcher block sanitized in a high use area is apparently not easy. Most of the chatter I heard was about how awful it is to keep clean around a stove where grease stains are known to appear. 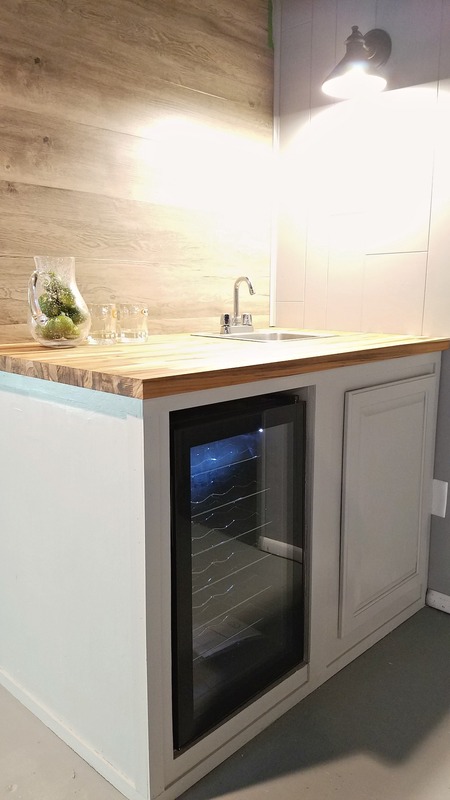 It’s ideal for an island but not so much for an entire kitchen. I’ve never had it, so I couldn’t really contribute to the argument, but I definitely weighed their concerns. 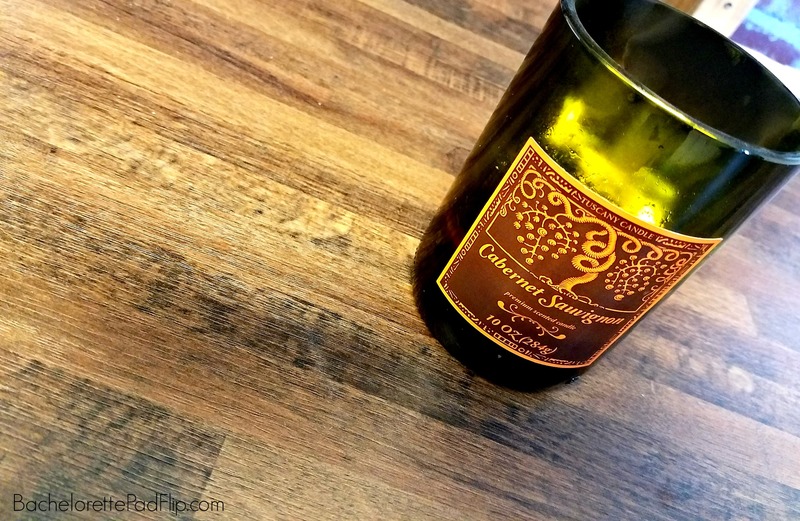 Rather than choosing actual butcher block and the upkeep it requires, I chose a totally maintenance free, scratch and stain resistant alternative! 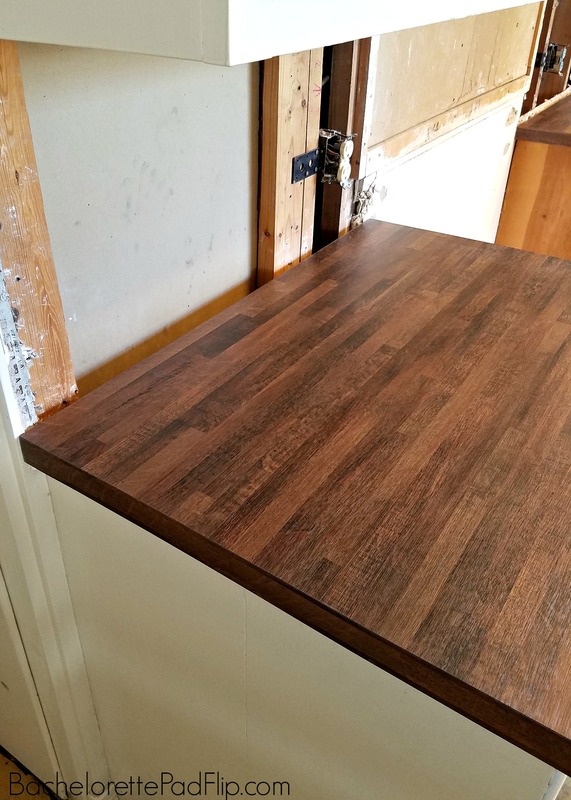 Wilsonart laminate makes faux butcher block! Game changer! Initially I struggled between a light grain or dark grain, but I eventually chose the dark, warm grain. I chose Wilsonart’s Old Mill Oak. It has varied grain pattern with shades of warm browns. It has the perfect aged look to it. I’ve used laminate in almost every flip. There are two things about it that I love so much that it keeps me coming back: price & durability. For the granite I used at Flip 4, I paid around $35 for square foot. And while that isn’t terrible, at certain price points, if I can find a cheaper alternative, I try to do that. While this decision wasn’t based entirely on cost (I was willing to spend up, but apparently that went to the floors). The primary deciding factor for this project was durability. Unlike real butcher block, keeping these cleaned and sanitized is easy. Whatever household cleaner/chemical you typically use, you can use on Wilsonart’s “butcher block” without any damage to the color or surface. It’s also scratch resistant (if you just so happy to slice a tomato on the countertop like me, you don’t have to worry!). They require no annual sealing or sanding. You install them and forget them! While the backsplash hasn’t been installed yet, these new counters have already transformed the space! I spent $525 for labor and material on this project. To see more benefits of laminate over solid surface, granite, or butcher block, visit Wilsonart’s website. Update: To see the fully renovated kitchen with the faux butcher block countertops, check out the reveal post here. And the update that happened after the reveal here. I’ve been told by more than a few folks that I’m apparently a ‘throw-back’ as I favor Formica countertops in my kitchens. But I stand by my decision for several reasons: it’s easy on the budget, it’s easy to install, it’s user friendly, and offers a HUGE variety of colors/patterns from which to choose. 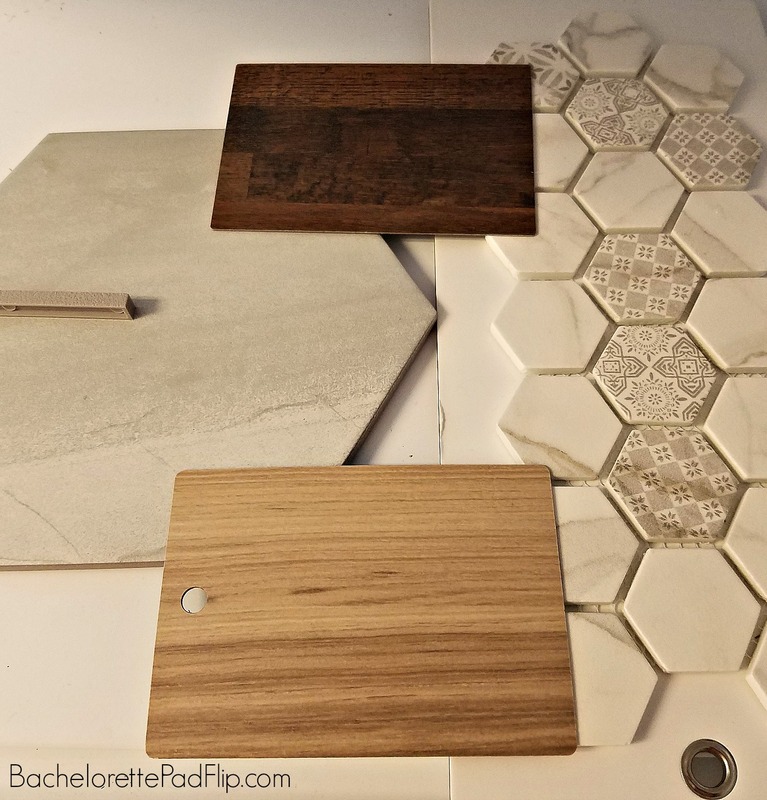 I think your choice will look terrific in the newly remodeled kitchen. I really like this! I would love to have the lighter color in my kitchen! Hi! What item number specifically did you use ? I’m checking out the website and I’m having a hard time tracking down what product you used.